At ISPO MUNICH, EUROJERSEY is launching its new 2019 advertising campaign. An invitation to draw inspiration from the versatility of Sensitive® Fabrics, to free all the creativity deriving from their capacity to adapt to all shapes. A concept expressing all the intrinsic creative potential of fabrics which are lightweight yet resistant, pleasant to wear and endowed with elasticity and breathability, so that they absorb moisture and dry quickly. 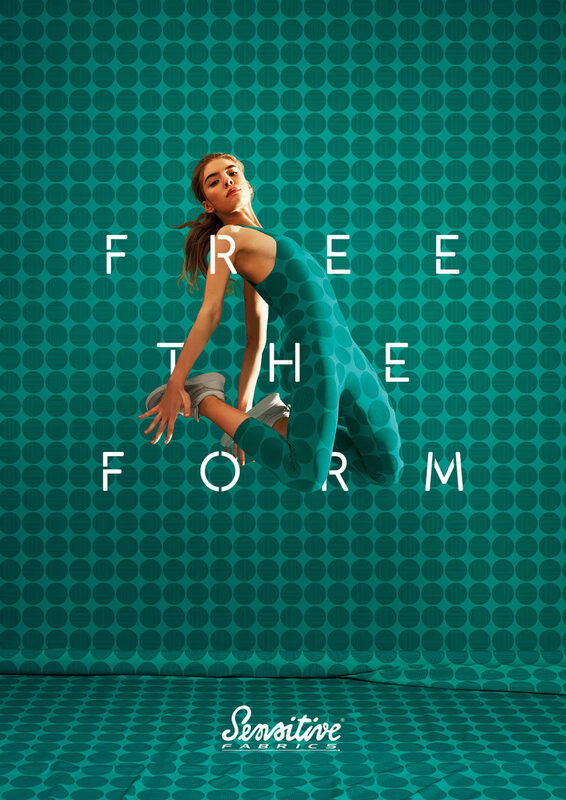 The visual advertisement presents a dynamic image on a printed background of Sensitive® Fabrics from which an athlete emerges and takes shape, launched in a three-dimensional movement together with the claim FREE THE FORM. A play of profiles and volumes which emerge and enwrap the figure, as they materialize around it. For this edition of ISPO in Munich, EUROJERSEY has chosen to highlight the particular characteristics of Sensitive® Fabrics in sportswear applications, by underlining the elevated research content expressed in their performance, functionality and sheer good looks, thanks to a perfect shape retention even after frequent wear and washing. Ideal for any type of sports or training activities, they adapt naturally to the body shape with style and a well calibrated compression. Come and visit us at ISPO MUNICH, February 3rd-6th, Hall C5.505.